Hi friends! 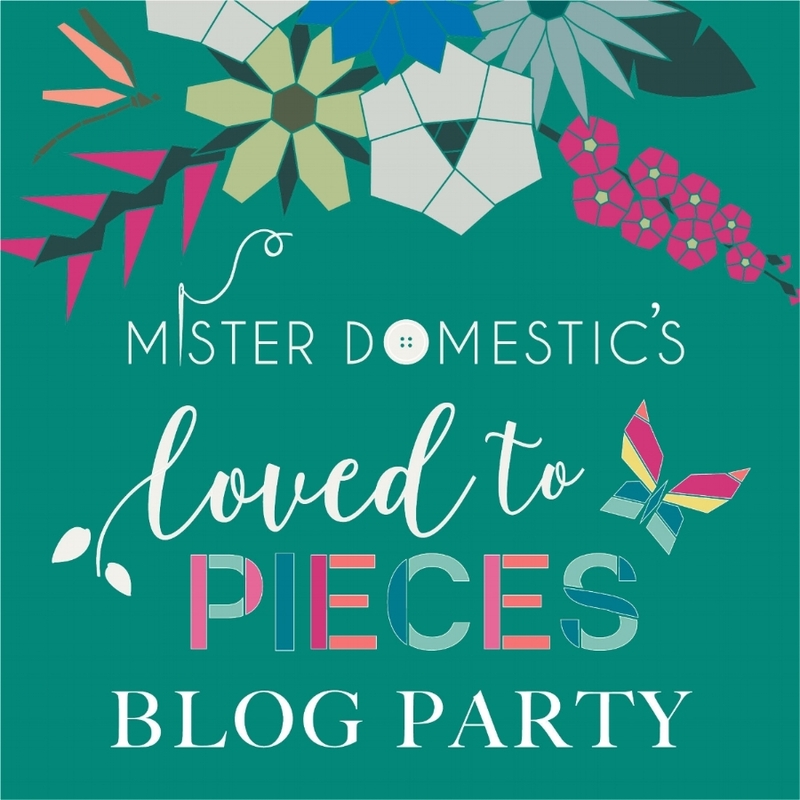 Today I am sharing a quilt I created for Mister Domestic's Blog Party! This is Matthew Boudreaux's first fabric collection - Loved to Pieces - he created for Art Gallery Fabrics and I was so excited that he asked me to join in on the fun. I decided that a great choice for the project would be the next quilt pattern that I am releasing on August 14th - Scallop Quilt. After looking over the entire collection - I decided to go with the blue, cream and aqua shades paired with some of Art Gallery's AMAZING denim. The fabrics pair up so beautifully with Art Gallery's solids and denims so there are no limits to what you can create! I chose some smaller scale prints and a larger floral print I fell in love with and placed the colors in an order that I felt blended well for the scallop order. Having a variety of scales on the print is so helpful! I usually tend to go for the smaller scale when working with hexies or small blocks so that the design is not completely lost. The larger floral patterns are beautiful for garments and also quilt backings - but I think they look amazing pieced on this quilt front as well even if the floral pattern is not lined up perfectly. 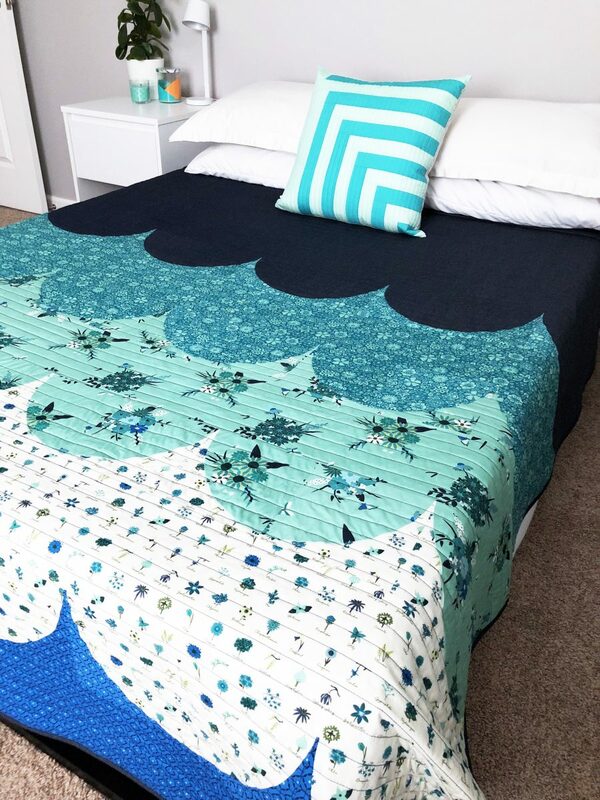 The Scallop pattern was designed so that the scallops run off the edge of the bed - I love how that pop of blue shows up at the bottom. I switched from making a throw size quilt to a full size so I didn't quite have enough denim for the backing. Luckily I had a bit more of the aqua floral and a lighter almost mint colored denim left over from a a previous Art Gallery project that matched up so well. For my quilting I went with a 28WT Aurifil thread to create some texture since I spaced my lines out at 1 inch. The color I chose was 2783, which was a close match to my denim fabric. This heavier weight thread adds a nice texture and works so well with denim fabrics. For a last minute addition I whipped up a fun pillow using the smallest of scraps I had left over. I used a cream linen pillow case from Ikea and ironed my scraps onto a piece of "No-Sew" Heat n bond. This allows me to carefully cut out my design and iron onto my backing fabric without having to go back and stitch around the edges. It's completely secure and makes a nice addition to the room! I was hoping to have this finished up for my vacation this last week to Lake Huron, but am happy to have it set up in my new guest room space at home! I love having an almost gender neutral bedding in here, the colors are a bit more masculine with the denim and blues and the floral is just the perfect accent to the curves of the scallop shapes. Be sure to check out all of the other amazing makes using Loved to Pieces! 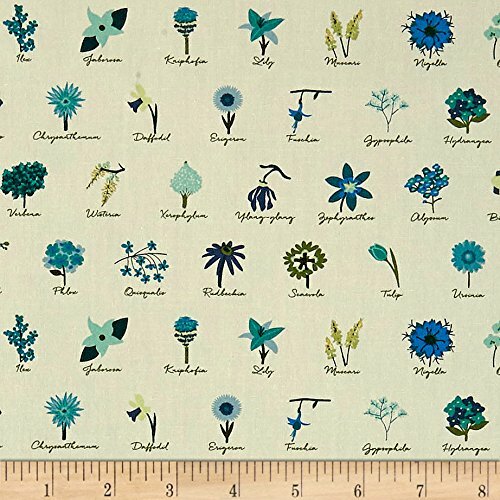 I hope it inspires you to create your own project using this beautiful new line. Matthew is also having a fantastic giveaway over on his Instagram feed @misterdomestic, be sure and enter to win before the week is over!